Azeal Dermatology provides you with non-invasive, body contouring treatments. Learn more about this new treatment that only takes 25 minutes to help eliminate fat cells on your body. While other procedures have required different forms of surgery and time to rest, Azeal Dermatology brings you a new method of sculpting your body into the body that you’ve wanted for yourself. Achieving a slimmer, more sculpted appearance is possible with the help of SculpSure™, a body contouring treatment that’s surgery free! 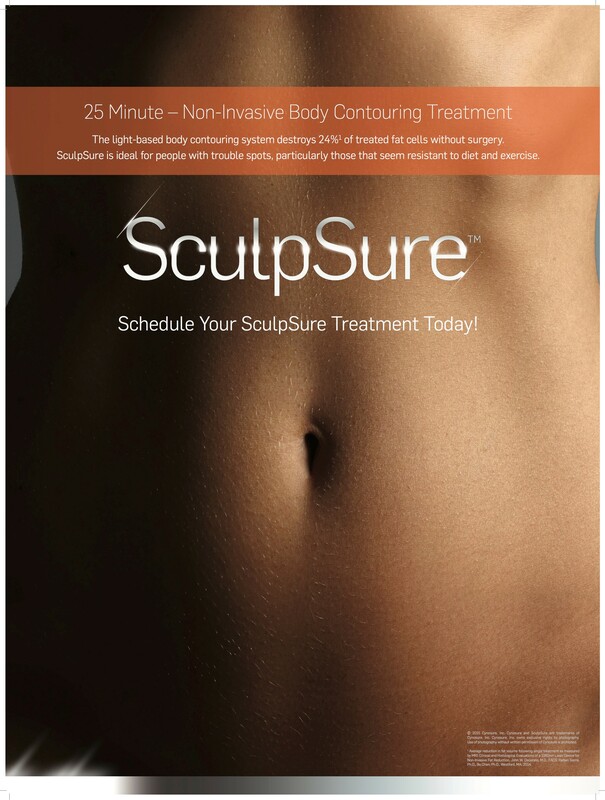 * Call us to schedule a FREE consultation and learn more about your customized SculpSure™ treatment. 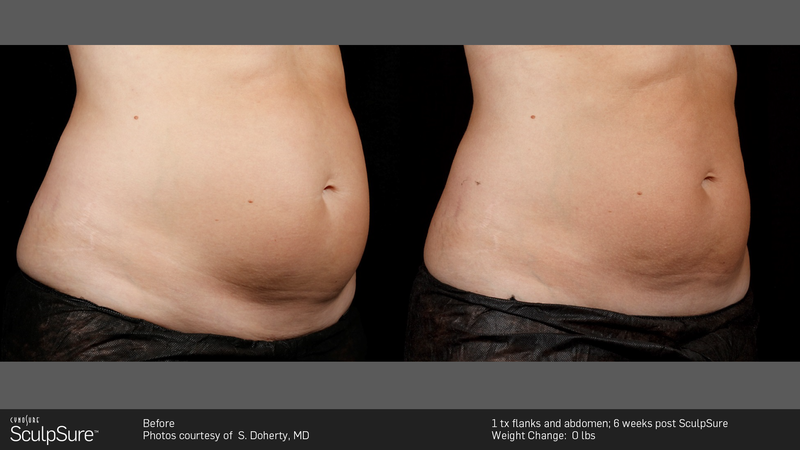 Most patients see results with as little as one body contouring treatment*. However, you may wish to have additional treatments based on your desired results. Ask your treatment provider about the best treatment plan for you. 1 Single treatment with an average in fat volume as measured by MRI; Clinical and Histological Evaluations of a 1060nm Laser Device for Non-Invasive Fat Reduction – John W. Decorato, MD., F A C S. Rafael Sierra, Ph.D., Bo Chen, Ph.D., Westford, MA, 2014. 2 Average patient discomfort rating of 3.7 on a scale of 1-10; Katz B, Doherty S. A multicenter study of the safety and efficacy of a non-invasive 1060 nm diode laser for fat reduction of the flanks. Paper presented at: 2015 Annual American Society for Laser Medicine and Surgery Conference; April 22-26; Kissimmee, FL.